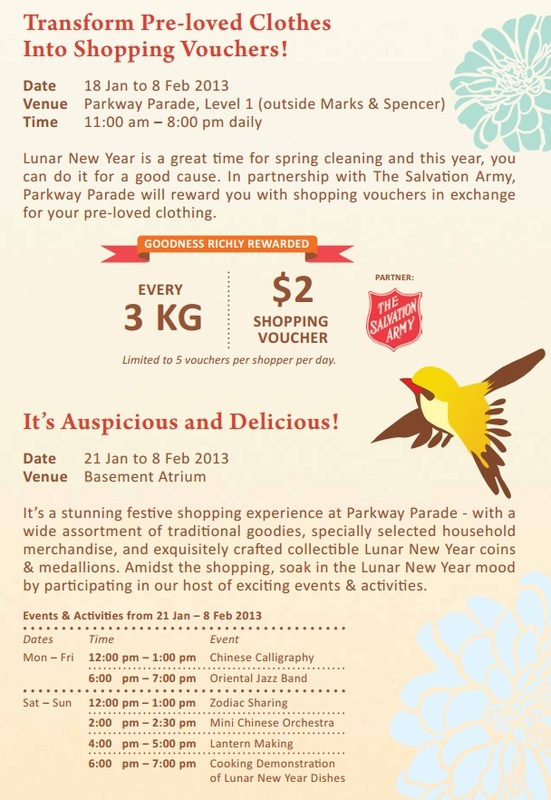 Parkway Parade will be in partnership with The Salvation Army this year and are inviting you down to exchange your pre-loved clothing for shopping vouchers! Alongside this, a line up of cultural performances and activities will take place at Parkway Parade this entire month. (limited to 5 Vouchers per shopper). The items will be donated to the disadvantaged and needy. January – to 24 February with a series of activities and exclusive promotions. merchandise amidst the host of festive activities during this period. 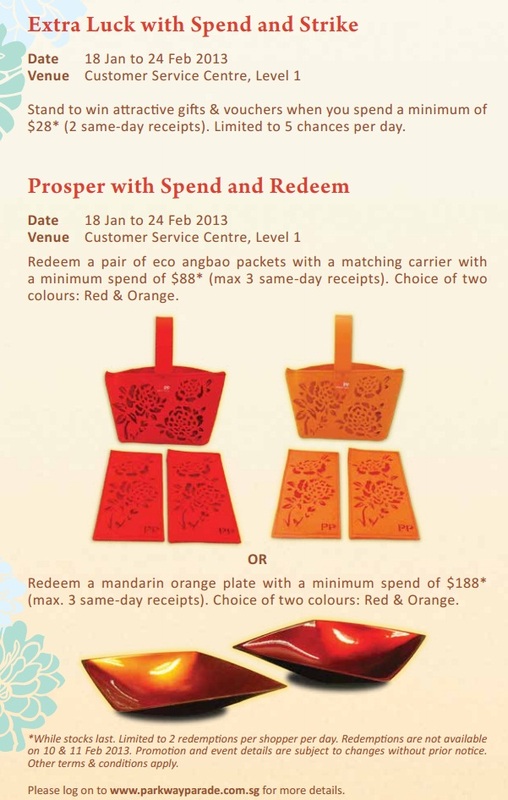 be redeemed at the Customer Service Centre, Level 1.
of $28 (2 same day receipts) – Limited to 5 chances per day. Do check out http://www.parkwayparade.com.sg/ for more information!